When the guys aren’t angling for hockey tickets or watching Suits, they’re reading Fast Company and bragging about who makes the best cup of coffee (That would be Terry… Sorry Derek). Terry is often forced to defend his choice in scotch but he has no equal when it comes to automotive trivia. Derek is a legend in the kitchen with a weakness for pancakes and a tech fetish for the latest iPhone. Nobody was surprised when Derek became a Quebec finalist for the 2012 Entrepreneur of the Year. He’s a dynamo. Just a few years ago, he founded Ben & Florentine Restaurants Inc., a successful casual dining franchise. As the CEO, he was responsible for all aspects of the business including operations, finance, real estate, marketing and development. Derek learned the franchise business while owning and operating a Tutti Frutti restaurant between 2004 and 2006. During that period, he discovered his true niche in the food service industry. A winning combination of energy and experience makes Derek a “Make It Happen Guy” with a clear vision and communication skills to focus and coordinate marketing, sales and operations. Imvescor Restaurant Group agreed, making Derek their Vice President of Operations in 2012. It was through Imvescor that Derek met Terry. An entrepreneurial plan for Pannizza was soon hatched. 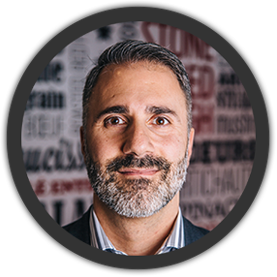 Derek’s background in financial consulting at RBC, plus his experience as a commercial real estate broker means he can personally oversee the real estate and business brokerage facet of Pannizza… Their new baby! Pannizza is the perfect opportunity to deploy the accumulated knowledge of everything Derek learned while leading at Tutti Frutti, Ben & Florentine and Imvescor. This self-taught restaurateur has demonstrated that he has the chops in the food service industry to make Pannizza a thriving success. Don’t let Sherif’s schoolboy charm distract you from his resume. He knows his stuff. He spent over 12 years associated with Pizza Hut Restaurants in Quebec, where he managed the overall business portfolio for the province of Quebec with Yum Restaurants International as Regional Director of Operations. During his tenure with Yum, Sherif and his team captured majority market share (62%) and was awarded the 2003 Cutting Edge Sales award. For the next seven years, Sherif re-located to Kuwait with Al Homaizi Foodstuff, as Group Director of Operations. His initial mandate was to successfully launch delivery service for Burger King and improve overall operations in Pizza Hut, but his responsibilities grew to overseeing operations of the company’s Military Division, managing six different brands (Applebee’s, Pizza Hut, Burger King, Taco Bell, Cinnabon & Seattle’s Best Coffee and KFC) operating in Iraq, Kuwait and Italy. He was responsible for 54 restaurants. During his last two years in Kuwait, Sherif built a new trading company, International Famous Franchises. He served as COO for this start-up company with a vision to acquire and operate international brand names within the Middle East and North Africa. 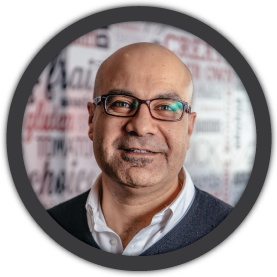 Within 14 months, Sherif successfully negotiated the franchise rights for Let’s Burger, Harrys of London and Blimpie. Three years ago, Sherif returned to Canada, where he met Terry and Derek at Imvescor. They’ve been in a huddle ever since. Ritou creates the wow factor, bringing her trademark warmth and savy style to Pannizza’s marketing philosophy. Ritou’s specialty is developing strategic corporate, media and PR communications to increase visibility and stir interest at the regional and national levels. So, how did this young go-getter become such an articulate and accomplished executive? Soon after graduating from the John Molson School of Business, her first career milestone was as the Director of Operations at Le Groupe Fuzz, where she oversaw company operations for a $50 million dollar retail chain consisting of more than 35 stores. She was accountable for a multi-tiered team of 190 employees, including management and administrative professionals, creative team and retail operations staff. She negotiated leases, managed all real-estate transactions and opened an overseas manufacturing and production office in China and India. Ritou’s next mission was as a founding partner at Electric Pixel, a creative design agency. One of her clients was Ben and Florentine Restaurants, where Ritou became the Director of Marketing and Strategic Planning. In that role, she developed and executed all marketing, communications and brand strategies for a franchise of 23 restaurants. She managed the national marketing fund, media buys, promotional campaigns and social media presence. She was also responsible for franchisee relations and accountable for sales, operations excellence, training, as well as contractual compliance. But we haven’t mentioned Ritou’s secret weapon. 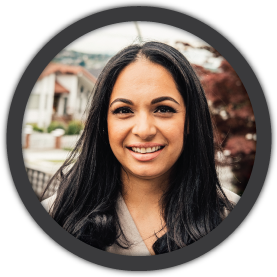 She knows how to build and maintain long-lasting relationships with clients and colleagues.